Pgh Momtourage: Ticket Giveaway for Kid-A-Palooza! 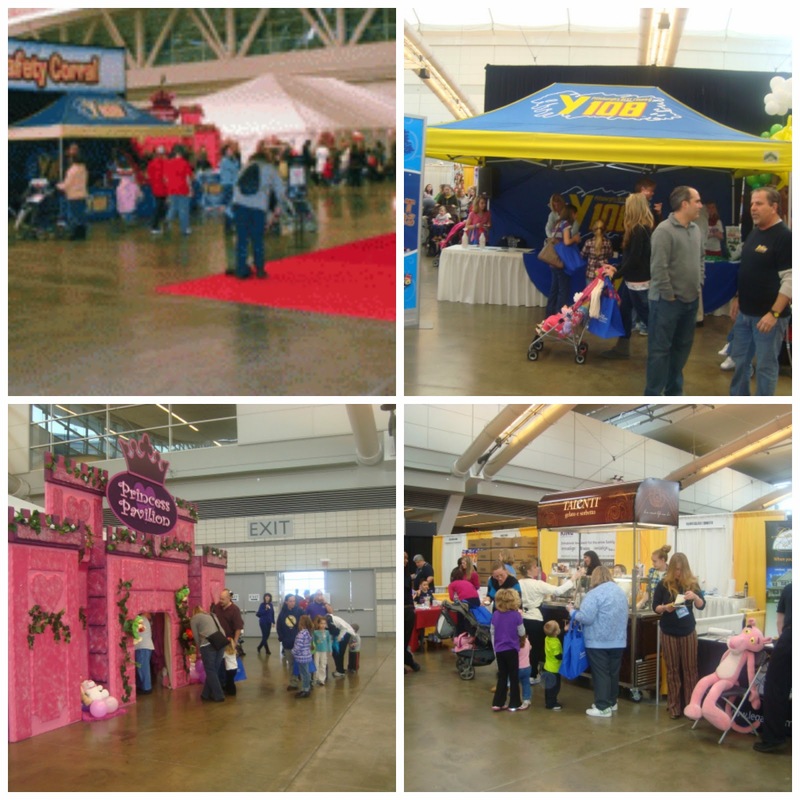 The Giant Eagle Kid-A-Palooza 2014 is this Saturday at the David L. Lawrence Convention Center! 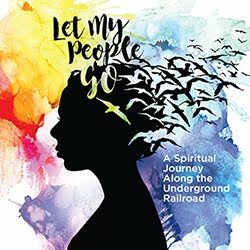 I have taken my kids the last several years and it is a really fun festival for the entire family! 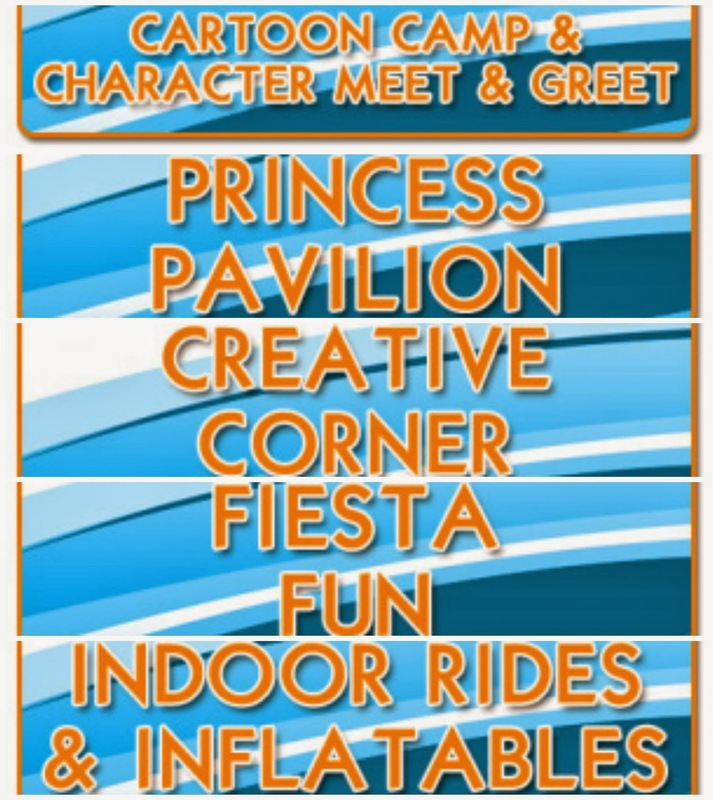 There are tons of activities, rides, inflatables, stage shows, exhibits, yummy & healthy food samples,+ more! Everything is covered in the price of admission. 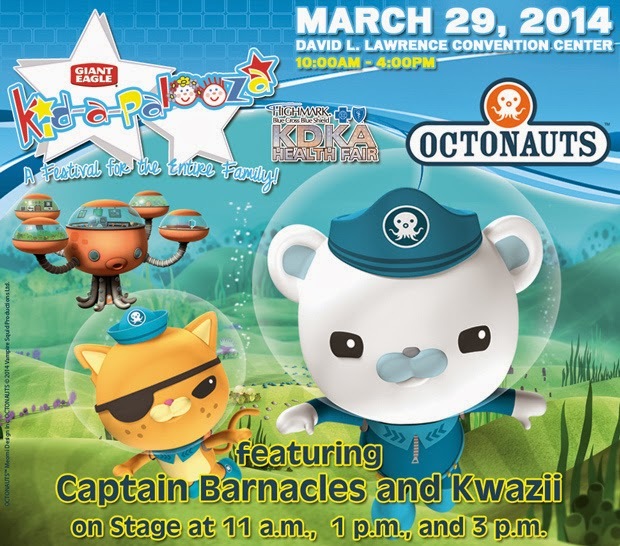 See the OCTONAUTS Live on Stage! Meet Phil Bourque and Iceburgh appearing with Giant Eagle at 2:00pm. AND a cool piece that has been added this year - you can donate diapers in support of the Penguins Diaper Drive! Donations support the Western Pennsylvania Diaper Bank. Visit pittsburghpenguinsfoundation.org. Tickets are $10 (adults 12 & over), $6 for ages 3-11, 2 & under are free. You can purchase at the door or avoid lines and order online here. Your tickets will be held at the Will Call window beginning at 10am on the day of the festival. Please have ID with you. My absolute favorite thing to do with my family is give piggy back rides around the living room. I know it sounds silly - but it's free, fun family time and the kids love it! I love hearing their little laughs while Dad and I piggy back them around the house! This looks amazing! We are totally going - win or not! My favorite thing to do with my family is to go to all the different local playgrounds on the weekends! I love seeing my children happy! We love watching movies and shows or playing hockey and tennis! My favorite thing to do with my family is watch my daughter laugh whether it is at the movies, the park, or just from tickles. Our favorite family activity is definitely the pool. IN winter we spend our time in the Carnegie Museums or the Children's Museum. Going for walks to the playground! Exploring nature at the park! Museums and parks! Any and all of them! Going to sporting events together. Our favorite thing is community events (festivals, etc)! Play. When its warm we're outside for as long as we can be. In the colder weather we play inside. We LOVE going to the zoo as a family, my son loves to see the elephants. Our favorite thing to do as a family is spending time outside. Anything from going for a run, playing at a playground, or having a picnic in the grass we are happiest when we are outside! My favorite thing to do is take my 2 year old to the park! She loves the swings and gets to run around! My favorite thing to do with my family is to go to a park! My favorite thing to do with my family is dance around the house! Anything outdoors...hiking, fishing, playground, ride bikes, etc. The zoo, hiking and pirates games! Our favorite thing to do as a family is have a dance party.